The global cardiometabolic disease market is estimated to witness a stupendous growth rate in the coming years. The high incidence of type 2 diabetes mellitus due to changing lifestyles, genetic predisposition, and obesity have collectively increased the risk of cardiometabolic diseases amongst the global population. The incidence of these cluster of diseases finally leading to cardiometabolic syndrome is expected to be high in developed countries, where obesity is on the rise. Rapid urbanization and introduction of public transport that are reduced the obligatory exercise has led to sedentary lifestyles, thereby increasing the risk of lifestyle diseases such as type 2 diabetes. Unfortunately, CMS is on the rise amongst children due to reduced exercise and increasing consumption of fatty food items. The rate that which the incidence of cardiometabolic disease is growing across the world it is estimated to impact both the developed and developing regions. Those suffering with diabetes and hypertension remain at a higher risk of this condition and thus an interest in these diseases is justifiable. The increasing investments in research and development of treatments of this condition are expected to favor market growth. Additionally, the rise in the rate of obesity is also likely to make cardiometabolic disease a pandemic across the world. The collective impact of cardiometabolic disease as seen on various dysfunctions of the body is expected to be a major threat for the mankind in the foreseeable future. In the wake of these facts, the disease offers a unique opportunity for several leading players to take serious interest in collaborating their resources and knowledge to develop drugs, therapies, and solutions to fight the destructive disease. Cardiometabolic disease, commonly known as Reaven’s syndrome, is characterized by a group of abnormalities and symptoms that include abdominal obesity, high-blood pressure, poor cholesterol profile (LDL), dyslipidemia (high serum triglycerides), and high plasma glucose. Individuals suffering from cardiometabolic syndrome are prone to a number of diseases such as type 2 diabetes, coronary artery disease (CAD), cardiovascular disease (CVD), stroke, heart failure, and hypertension. Both genetic and environmental conditions can be responsible for the development of cardiometabolic diseases. Various symptoms related to cardiometabolic diseases include central obesity or apple-shaped adiposity, high blood pressure, fatty liver, sleep apnea, erectile dysfunction, and polycystic ovarian syndrome. Based on the treatments, the global cardiometabolic disease market can be segmented into ACE inhibitors, diuretics, Glucophage, and liposuctions. Angiotensin-converting-enzyme (ACE) inhibitors are a group of drugs, primarily used for the treatment of hypertension and heart failures. They help reduce blood vessel tension and buildup of excess blood volume, thereby lowering the overall blood pressure. Perindopril, lisinopril, ramipril are some of the common ACE inhibitors used today. Diuretics are a group of drugs used to treat heart failure and hypertension, liver cirrhosis, and certain kidney diseases. Diuretics such as bulimics are used by patients to reduce excess weight. A drug named Metformin – a common Glucophage – is used to treat individuals with type 2 diabetes and can also prevent the onset of diabetes in people prone to similar metabolic diseases. The global cardiometabolic disease market also includes the two commercial weight loss pharmacotherapies: orlistat (Xenical) and sibutramine (Meridia). Patients suffering from high fat deposition are often suggested to opt for an abdominal liposuction, thereby temporarily solving the overweight issue. Apart from the therapeutic drug treatments, proponents of the global cardiometabolic disease market are also promoting the idea that consumers live a healthier lifestyle with diet and exercise. The global cardiometabolic disease market can be regionally segmented into North America, Europe, Asia-Pacific and the rest of the world. Of all key regions, North America held the leading share in the global cardiometabolic disease market followed by Europe, in 2016. The major factors attributed to the market’s growth in these regions are the increasing epidemic and a growing uptake of unhealthy diets and a largely sedentary lifestyle. According to a survey, so far, 32% of the population in the U.S. was affected by metabolic syndrome, 25% in Europe and Latin America, and there is a continuous rise of metabolic diseases in the developing economies of Asia Pacific. Asia Pacific is likely to be a highly lucrative market for the growth of cardiometabolic disease treatments. Furthermore, the demand for advanced and sophisticated therapeutic treatments is also likely to fuel the global cardiometabolic disease market in the coming years. 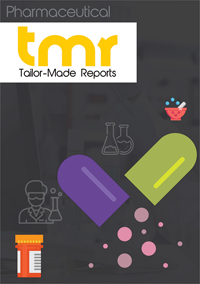 Some of the leading players of the global Cardiometabolic Disease Market for 2016 were Torrent Pharmaceutical Ltd., Cardax Pharmaceuticals, Inc., Abeille Pharmaceuticals, Inc., VivaCell Biotechnology Espana S.L., Spherix Incorporated, and Indus Biotech Private Limited.